If you decide to undergo a vasectomy reversal, you, your surgeon, and your anesthesiologist will discuss your options for anesthesia. Often, vasectomy reversals can be performed using a spinal anesthesia, or a spinal block, rather than general anesthesia. 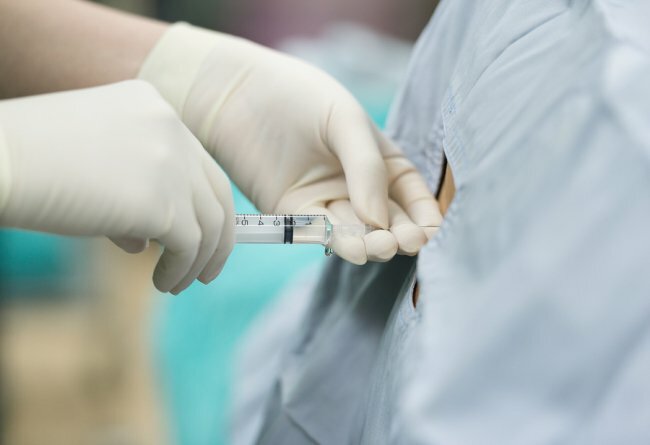 Spinal anesthesia carries less risk than general anesthesia and may allow you to recover from your procedure more quickly. Here is what you need to know. Spinal anesthesia is a medication that numbs part of your body to prevent pain. It is used frequently for lower body procedures. Although spinal anesthesia is similar to an epidural, which is most often used during labor and delivery, it is not the same, as it is only delivered once and injected directly into the spinal cord. When you get spinal anesthesia, it means you will be awake for the procedure, but your doctor may also offer you a sedative for your comfort. Spinal anesthesia is delivered via an injection of fluid into your spinal cord. There is no need for a catheter because you will not receive the medication more than once. You may receive a sedative before the injection, particularly if you are nervous about receiving it. The medication works immediately, but your surgeon and anesthesiologist will ensure that you are completely comfortable before the surgery begins. Because you are awake during spinal anesthesia, there is much less risk involved than there is with general anesthesia. The recovery is also much faster. As soon as the anesthesia wears off, you will be able to walk, though you may experience mild nausea and dizziness. You should not have any lasting side effects or residual pain from this type of anesthesia. Dr. Green at the Center for Vasectomy Reversal will answer any questions you may have about your procedure so you can approach your surgery with confidence. If you are considering vasectomy reversal in Sarasota, call our clinic today at (941) 894-6428.